Sorcero’s just-in-time knowledge engine provides verified workplace answers when and where they are needed. 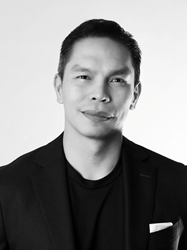 Paolo Alejandro Catilo has joined Sorcero, an award-winning Washington DC-based AI startup, as Managing Director, Business Development and Partnerships. Catilo will be responsible for engaging in strategic partnerships and setting up operations, as well as building out and scaling Sorcero’s efforts in serving customers across healthcare, finance, and educational markets. Sorcero is an AI-based workforce knowledge and learning solution. Its mission is to revolutionize the way people find answers at work. Sorcero’s just-in-time knowledge engine provides verified workplace answers when and where they are needed. Catilo recently joined Sorcero’s seasoned team, including Sorcero’s world-class AI team, to help their solutions reach enterprise customers. Most recently, Catilo was the Co-Founder & COO at NurseVersity, a bootstrapped edtech startup, helping healthcare students pass their board exams. As a founder, he focused on finance, operations, strategy, and business development. He has participated in the StartEd ecosystem and served as an advisor to the Village Capital education program. Sorcero is workforce performance support and learning company that empowers people with the knowledge they need to succeed. By leveraging advances in cognitive science, AI, and inquiry-based learning, Sorcero increases workforce productivity and drive better business outcomes. With a founding team drawn from some of the top global institutions leading on global training, EdTech, AI and learning, Sorcero is an award-winning startup focused on human-centered technology as a force for good.